There are some new features and one very important bugfix. 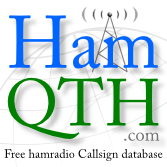 CQRLOG is no longer crashing after CTRL+END/CTRL+HOME in the QSO list window. After some debugging I found out that it always crashes somewhere in the code around bookmarking positions in the grid. Problem was with functions dataset.DisableControls and dataset.EnableControls. It works with some update events that are not used in the Lazarus code (?) anywhere. I removed the Disable/EnableControls and it works. 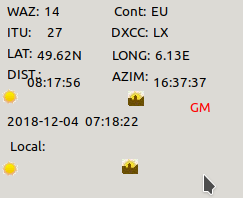 It may be slower a bit when using filter and the result has many QSO, but it won't happen very often. I think you could observe some slow downs with tens of thousand QSO filtered but it is very rare. This bug made a lof CQRLOG users very sad. Please check if it works. Thanks! There are also some layout changes. Any feedback is welcome! for fixing the qso list scroll down bug i was, too, testing without Disable/EnableControls. But this leads on my machine to an other error "field not found remarks". qCQRLOG : Field not found : "remarks". TApplication.HandleException qCQRLOG : Field not found : "remarks"
I will investigate in this ..
it seems, when you scroll down for a longer time down or page down the function "FormShow" is called. the lines 1861 - 1872 and the no errors happen. so far just a first quick response what i can observe here. Maybe we have to deactivate the update on the fMain mask during scrolling. Have been using the beta 2.3.0 (002) for a few weeks now, and it has been behaving good until the last couple of days. Today, I started from terminal in debug mode to hopefylly catch the dreaded "blank box" error again in the qso list window, and I did. The error behaves exactly like the error occuring before with page-up/dwn in qso list, and also on search (ctrl+F) and filter (F12). Today the error has occured while either searching the log (ctrl+F) or when cancelling a filter (shift+F12). Getting the same blank dialog box as before, which can be closed by pressing Enter or Esc, or clicking the (X). I've attached my debug log to this message. Also sent by email. Hopefully it can be of some use. The first error is seen from line #1174, which happened when clearing the filter (Shift+F12). Also some more errors further down the file, incl. a "Field not found : remarks" error, and a few "List index (4) out of bounds" errors that occured when paging down the logbook for a while. System running on Ubuntu 18.04.1 LTS, with default Gnome desktop.